Can Investing in Franklin Templeton Mutual Fund Make Me Rich? The money market is quite an unorthodox place. There’s no set pattern on which it runs. You cannot predict the prospective movements of the market, and have to rely purely on his sense of judgement and conviction. When pouring in money in such a volatile place, you ought to progress gingerly. Any room left for errors to seep in may drown your aspirations and leave you in total turmoil. To avoid any of such things to happen with you, you need an efficient plan that can conquer all the odds and make you achieve your objectives. We are talking about investing in the products of Franklin Templeton Mutual Fund, a fund house that is no alien to anybody, and which has been growing on the investors lately. An American financial management corporation, it has a horde of options to offer which are discussed below. 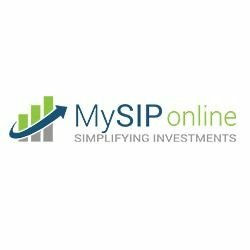 MySIPonline is one of the top trending websites in India that provides cutting-edge facilities to invest in the best mutual funds in India online. With the help of this portal, you can, without shedding a dime from your pocket besides the funding cost, invest in the top funds of Franklin Templeton India Mutual Funds at your convenience without going anywhere, without asking anywhere, sitting right on your couch and operating through your laptop or smartphone. If you want to invest in a high energy fund with an excellent service record, then you can’t afford to overlook an investment in Franklin India Smaller Companies Fund. It is a small cap fund that primarily invests in the companies that are young, and have ample opportunities for growth in the future. If we talk numbers they are solid, as evident from the past five year’s average that stands at 27.72%. Plus, this yield is way more than what has been produced by the benchmark (NIFTY Smallcap 250 TRI) or the category average. However, do note that with high rewards come high risks, so plan an investment in this fund only if you have a bigger appetite for risks. Next fund in our list of top funds by Franklin MF is a mid-cap fund, which is currently amongst the most subscribed funds on MySIPonline. The reason, besides high returns, for its excessive subscription is its relatively safer portfolio. Since it comprises mainly of mid-cap stocks, the risk is somewhat tamed in comparison to the small cap fund. Thus, the fund provides a lucrative bet for the risk averse investors too. Another reason, besides an average high yield of 24.22% in the past years, is a four star rating by CRISIL that adds to the glistening of this fund. Large caps have always been a loyal venture for investors. Besides being a safe option of investment, they are a powerful addition to incorporate diversification to the portfolio. Franklin India Bluechip Fund is perhaps one of the best large cap bets that you can find in India today. The fund has been growing remarkably high than the benchmark, and has produced decent returns lately. With an average yield of 14.83% in the last five years, the fund stands at the number four spot in the list of top 10 large cap funds available in India. Known earlier as Franklin India Savings Plus Fund, this fund is a five-star rated fund by CRISIL in the league of money market debt funds. The fund follows a unique and obtrusive investment strategy which involves investment in Commercial Papers and Certificate of Deposits, both of A1+ ratings. This way, the fund creates a high quality debt-oriented portfolio that can earn up to 8.24% in the medium term horizon.